Mom's Musings: Mighty Macs is Inspirational!! I'm Sharing the Inspiration!! 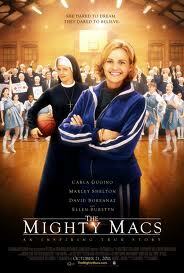 Mighty Macs is Inspirational!! I'm Sharing the Inspiration!! 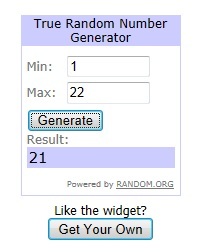 Contest is now closed and the winner is Joy #21!! Last night our family had a movie night. Odd thing to do on a Monday? Maybe, but it sure helps to beat those Monday Blahs!! We all sat down, from the 4 year old, right up to us parents (minus Devin who was at work). We also had my bff here (who is pretty much the same as family) and her 3 kids, 5-9 years old. Right off the bat, I liked the fact that this movie is based on a true story. I love when the positive, inspirational stories make it to screen!! Keri and I had seen the preview for this movie some time ago, and it stuck with her because she loves sports (and Converse shoes, which were shown in the preview) so, when I was given the opportunity to review, we jumped on the chance!! Everyone loved the movie. The 2 youngest fell asleep, it was pretty late, so that was expected, but the rest of us remained glued to the screen for the whole movie. We had great commentary throughout, about the outfits, the plaids, the size of the gyms etc. This movie was done so well and set up the time period perfectly. At the end, during the credits, they played some actual footage that had been recorded at some of the games and Keri commented about how true to the styles they kept the clothes, and how the nuns really were the cheerleaders, singing songs and cheering their team on! All in all, we loved this movie. It will remain a family fave for a while, for sure and I would recommend this movie for everyone to see. Perserverence, Believing in Yourself, Team Work and Trust are all a big part of this story and those are some great qualities to want to see in our kids...so this gets "Many Thumbs Up" from all of us!! GIVEAWAY!! I love when I can share the inspiration!! Tweet the giveaway (up to once a day): "#WIN a copy of The Mighty Macs @momsmusings http://bit.ly/A7Bjb8 Closes: 3/11"
Would like a copy for sure, then can pass it on. I would love to watch this movie with my family! I would watch this with my best friend who is a True Story junkie!